Nicolas St-Pierre (b. 1974) is a Canadian photographer currently based in Tokyo, Japan. He has been practicing photography passionately ever since he was offered a Soviet-made Zenit camera by an Italian friend some 25 years ago. Lawyer by training, diplomat by trade but wanderer at heart, Nicolas dedicates most of his spare time capturing the places and people that he encounters through his professional and personal travels. Nicolas’ work has been exhibited in galleries in Ottawa and Montreal (Canada) as well as in Beijing (China) and throughout Japan (Tokyo, Yokohama, Nagoya, Kobe, Sapporo). It was also featured in Canadian, French and Japanese publications, including Réponses Photo, Onbeat, Photolife and Bout de Papier magazines. In recent years, Nicolas’ work has garnered awards from the School of the Photographic Arts of Ottawa, the Japan Through Diplomats’ Eyes Photo Contest and the Canada-Japan Society. Legendary war photographer Robert Capa once said: “If your photographs aren’t good enough, you aren’t close enough”. To me, these words are more than just photographical advice. They convey a fundamental truth about the medium itself. Ever since I picked up my first camera some 30 years ago, this little piece of equipment has become a wonderful tool to help me step out of my comfort zone, an invitation to explore, and a mean to build bridges between myself and the other. The camera provides me with both an excuse and an incentive to get closer, to connect emotionally and physically with those who cross my path and arouse my curiosity. Of all photographic genres, street and travel photography, with a slight documentary bent and an occasional touch of humour, are those that currently appeal to me the most. Inspired my masters such as Elliott Erwitt, Richard Kalvar and Alex Webb, I stride to freeze fleeting moments, uncover the extraordinary in everyday life and lead the viewer to look at the world with a fresh pair of eyes. My photography is rarely deliberate as I prefer to wander and let myself be surprised by the situations that arise in front of me. •	2005: winning entry, photo contest “Showtime – Baby Face”, Photolife, Canada. 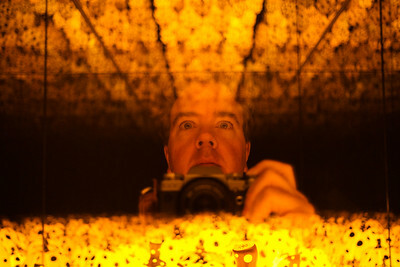 •	2008-2011: Founder and Chairman of the BeijinGX Photo Club, Beijing, China.